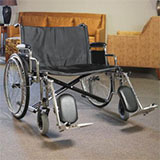 Looking for replacement Panacea Wheelchair parts? From standard to bariatric models, we've got the parts you need! Our illustrated guides will help you find what you're looking for. You could be saving up to THOUSANDS of dollars! • Learn how you can save on CPMs with Direct Supply. Use our interactive calculator to understand the savings from owning vs. renting. Outfitting your community with quality mobility products and rehabilitation equipment can help your residents stay active and engaged. 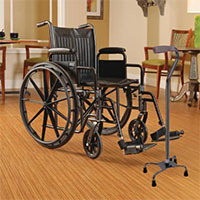 Keep residents mobile with a vast selection of wheelchairs and mobility products, including a selection of bariatric products to accommodate almost any resident. 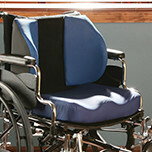 Finding the right cushion can help provide effective pressure management and positioning. 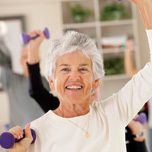 Encourage residents to reach their wellness goals by creating a well-appointed rehabilitation space with a variety of exercise supplies and exercise equipment that allow you to customize treatment. In our selection you’ll also find ADL aids that help promote resident independence, modalities that help increase resident comfort and treatment tolerance, and orthoses that help restore range of motion. 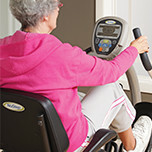 Need help finding the best rehabilitation equipment for your residents? 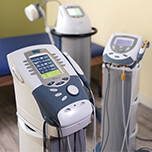 Use one of our selections tools or check out our blog!